Britain's Paula Radcliffe will end her marathon career in London in April, organisers have announced. The 41-year-old, who has won the London event three times, last competed over 26.2 miles in Berlin in September 2011. Radcliffe, who set her world record of two hours 15 minutes 25 seconds in London in 2003, last took part in the race in 2005. "We are absolutely thrilled that Paula has chosen London for her final marathon," said organiser Hugh Brasher. 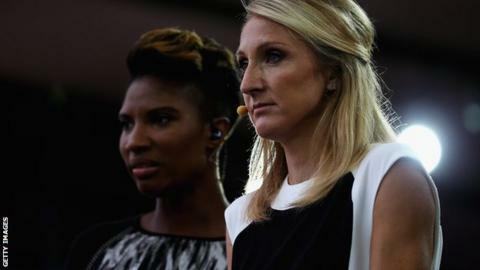 Former world champion Radcliffe, who has not been named among the elite athlete entries, will take on 2014 winner Edna Kiplagat and last year's runner-up Florence Kiplagat. The race on 26 April will be broadcast live on the BBC.